Throughout the week, you will find free activities and entertainment in Arc 1950, Le Village. Enjoy Aquabike and Aquagym sessions as well as sports tournaments where you can having fun! And why not stroll around the village and do some shopping in the different boutiques. The resort’s events programme is packed with a variety of events and key moments all winter long, as well as offering numerous activities (skidoo, snowshoeing, snakegliss, etc.). 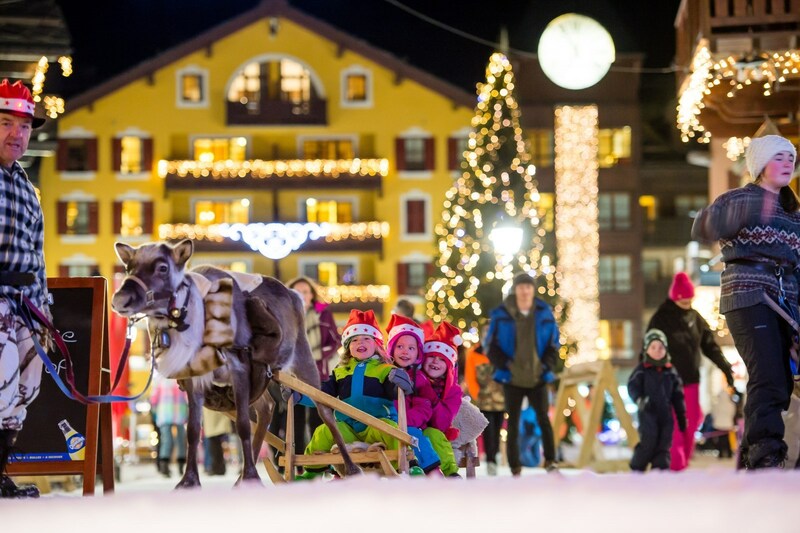 You will find a wide range of entertainment awaiting you this winter in Arc 1950, Le Village! Arc 1950 offers different activities and unique events every day of the week! The entertainment program is accessible from 6 years old. Children under 6 years old must be accompanied by an adult. No need to panic if the sun is hiding: we’ve got it all planned! Most of the entertainment can be moved indoors or modified. The village’s huge conference rooms can be equipped for Mölkky tournament, drone initiation, poker and even laser rifle shooting for the biathlon! Film shows and board games or Wii tournaments complete the programme, so there is no danger of your kids getting bored.